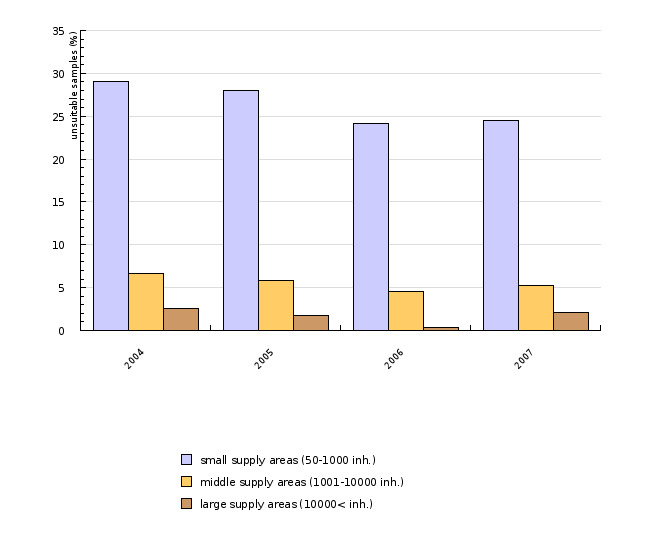 Drinking water quality in Slovenia in the period 2004-2007 has not significantly improved in terms of both microbial and chemical contamination. 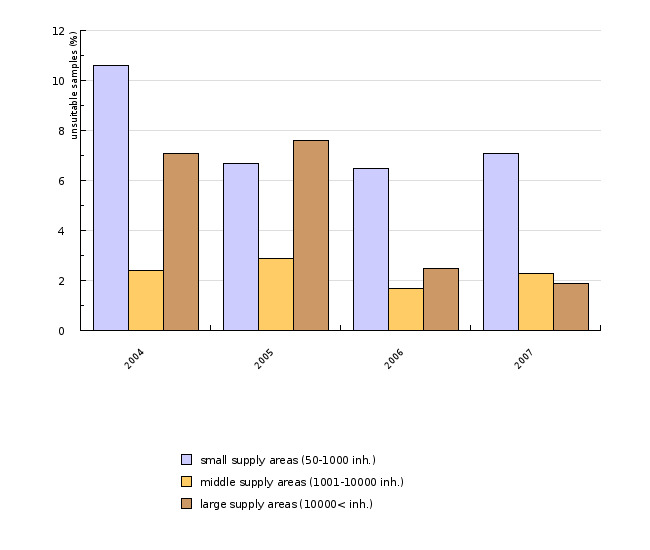 The trend is positive only for medium and large supply areas for reducing faecal contamination. 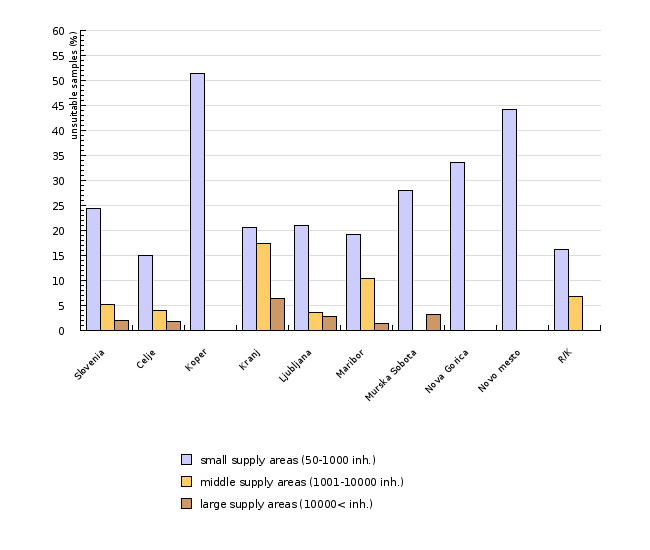 The proportion of chemical non-compliant samples has slightly reduced mainly in large supply areas. Due to microbial, especially faecal contamination, a problem still remains for small supply areas, particularly the smallest, serving 50-500 people.